The Way You Love Me by Donna Hill is the fifth book in Lawsons of Louisiana series but the first that I have read both in this series as well as by this author. I was attracted towards this book because of the blurb and also because I had heard some good things about it. In this book, we get two strong characters and a realistic story. Justin is an alpha hero who knows exactly what he wants and is not afraid to work towards his goals. He knew just the things to say and do to win over the still unconvinced Bailey who is not sure of Justin's feelings towards her. He is too powerful, too rich and too everything that she is not. They are worlds apart and still he wants her and claims to love her. I enjoyed how these characters navigated their insecurities to finally claim their happy ending. The plot is well conceived and executed and all twists and turns are realistic. The romance is passionate and has intense love scenes that make this book suitable for adults only. Donna's writing style is fluid and expressive. I enjoyed how she created her story world and look forward to reading more from her in the future. 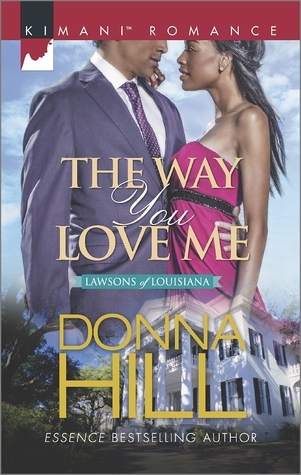 All in all, The Way You Love Me by Donna Hill is entertaining and passionate romance that I enjoyed reading. 4 out of 5 stars to it and recommended to all adult romance lovers.